Developed by Platinum Games, including 4-player cooperative. 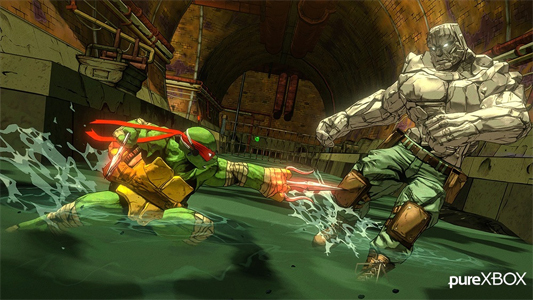 Platinum Games and Activision have made official Teenage Mutant Ninja Turtles: Mutants in Manhattan, action game based on the license that had leaked in December. Mutants in Manhattan offers us explore sewer, subways and streets of New York to defeat Shredder and Krang organization. We can develop skills and combos team gameplay feature Bayonetta creator or study the recent Transformers: Devastation. The story was written by Tom Waltz, making a colorful visual style, very memorable villains rescues as Bebop and Rocksteady, including four-player cooperative online. It will be released this summer on PlayStation 4, Xbox One, PC, Xbox 360 and PS3.